Berry Springs Lodge: Harvest Festivals happening now! Harvest festivals under way now! Beginning in late September, the Smoky Mountain Harvest Festival season finds the folks of Gatlinburg, Sevierville & Pigeon Forge decorating and celebrating the beginning of fall with a variety of events and festivals in Tennessee. September’s warm, sunny days and cool, clear nights mix with just the right amount of rain to transform 800 square miles of lush green forest into a brilliant palette of vibrant Autumn colors. 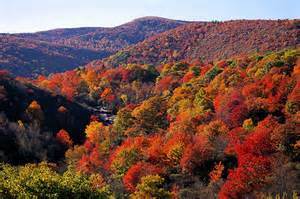 You do not want to miss the beautiful fall season with us!